The Discovery will be forever associated with Capt Scott and his ill-fated dash to the South Pole, but that was only a small part of her history. The author has provided a comprehensive history from design and building to her eventual restoration and display in the port of her birth. DESCRIPTION: The Discovery will be forever associated with Capt Scott and his ill-fated dash to the South Pole, but that was only a small part of her history. The author has provided a comprehensive history from design and building to her eventual restoration and display in the port of her birth. British voyages to the Arctic and the countries that extend above the Arctic Circle began from the 16th Century, although it can be argued that there is evidence of voyages by longships from the British Isles to the Arctic and North America centuries earlier. Antarctica received little attention until the late 19th Century, with much of the initial exploration not beginning until the early 20th Century. Today, there are scientific communities living in Antarctica and being supplied by air and sea, sending out many exploration groups in specially designed vehicles and with sophisticated equipment for research and for survival. A hundred years ago, the expedition ship would provide winter quarters and exploration groups would set out on skis and with sledges and dog teams. Lacking reliable communication with the outside world, the explorers were on their own and the margin for survival was small. The whaling industry reached its peak in the late 19th Century, shrinking as it was replaced by products drawn from crude oil. Prior to the growth of crude oil extraction and petro-chemical products, whale products had fuelled the Industrial Revolution. Nothing was wasted from a whale carcass. Whale skin was used in a variety of products. The high fat content was rendered down and used for lubrication of machinery and to fuel lamps. Whalebone and baleen was used in clothing manufacture, being a critical element in corsets, and harness making. The whale bladder was used for flexible windows in carriages and virtually every industry used whale product to some extent. Whale meat was also used as food, with any waste being converted into fertilizer. Today that material has been largely replaced by petroleum based fuels, electric lighting, and the plastics industry, although whale oil is still highly prized as a lubricant for delicate clockwork machines and whale meat is a delicacy in Japan and some other countries. Whale hunting has been followed from the long distant periods before written history. For much of that time it was opportunistic when coastal villages discovered beached whales and quickly converted them into vital raw material and food. Exactly when deliberate whaling began is unknown, but man soon learnt to decoy whales into bays where they became beached and were then killed. By the 16th Century organized whale hunting was undertaken around the coasts of northern islands and the bays along mainland coastline. The British claimed the Spitzbergen Islands and with the Dutch were the main whale hunters in those waters, but the method of hunting still depended on herding whales into shallow water. Product demand exceeded supply and those with whale factories in northern lands and islands guarded their interests. As a result, Dutch hunters developed the method of catching whales at sea, using a factory ship and open “whaler” boats crewed by hunters. As whaling developed strongly in North American waters, the whale population, that could be regularly beached, reduced and hunting took place further away from home ports. By the mid 19th Century, the whaling industry was dominated by American boats that operated increasingly in Antarctic waters and through the Pacific to the Bering Strait. It was a hard but highly profitable industry, where a new whaleship could cover her cost of building, storing, and crewing during her first hunting season. These tough vessels were able to withstand some very difficult conditions and one, built in 1941, still survives and is due to go back into the water during Summer 2013, after a complete refit, have her masts, yards and rigging restored to her, new sails made and to under take a restoration voyage in 2014 along the US East Coast. The wealth of the whaling industry and its development into Antarctic waters encouraged exploration of the great icefields that covered the islands of Antarctica. However, the standard sailing ships in naval service, or hired from trade, were not adequate for the harsh conditions, even during the Antarctic summer. With rapidly increasing British interest in discovering what lay in these ice shrouded lands resulted in the design and construction of Discovery in the port of Dundee. She was designed on the lines of a whaleship, heavily built to withstand the threat of ice. Her steam engine was pared with a full sail rig and both rudder and screw could be raised at sea. 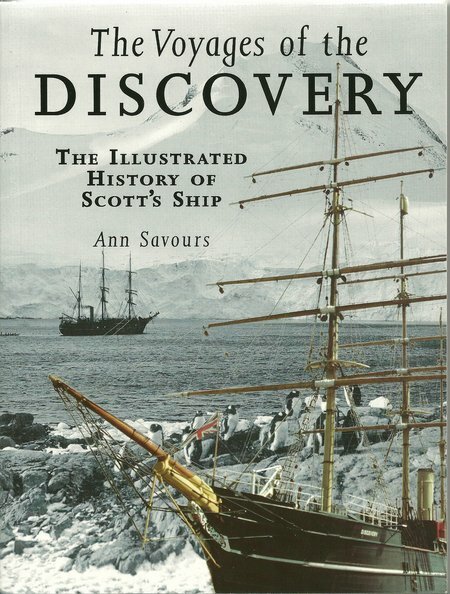 Capt Scott was given command and Discovery was allocated to the National Antarctic Expedition 1901-1904. Discovery was iced in at her winter quarters and relief expeditions were sent to her 1902-1903 and 1903-1904. These expeditions worked painfully through the ice by blasting and ramming over several weeks. After a very brief period as an expedition ship, Discovery was sold to the Hudson’s Bay Company, in 1905, for use in North American waters as an ice hardened merchant ship. She sailed from New York to Russia and undertook a series of voyages as a merchantman. During World War One she was used for a number of voyages in the North Atlantic and to Russia. After WWI, she was also used during the Russian civil war on the southern Russia project and the final assistance to the White Russians. During WWI, she was also used in 1916 in mission to seach and rescue the survivors of Shackleton’s expedition to Antarctica, who had been marooned on Elephant Island. After WWI and the Russian civil war, she undertook a series of oceanographic voyages to Antarctic waters and was used for the two BANZARE expeditions, during the period 1925-1931. In 1932 she was moored in the Port of London and used by the Sea Scouts, surviving the German air raids and ballistic rocket attacks on London during WWII and then becoming a major tourist attraction for Londoners and visitors. In 1986, it was decided to move Discovery back to her birth port of Dundee for a major restoration and then to become a focal point of tourist features after the redevelopment of the Dundee waterfront.